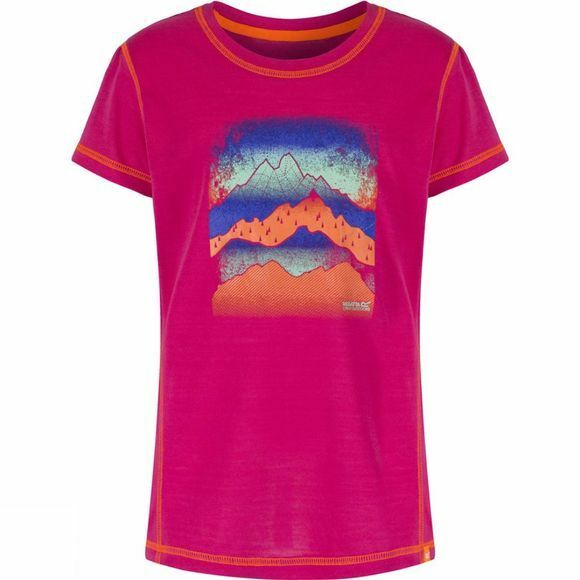 Super-soft, lightweight and fast-drying, the Kid's Motion II T-Shirt is made for summer adventures. 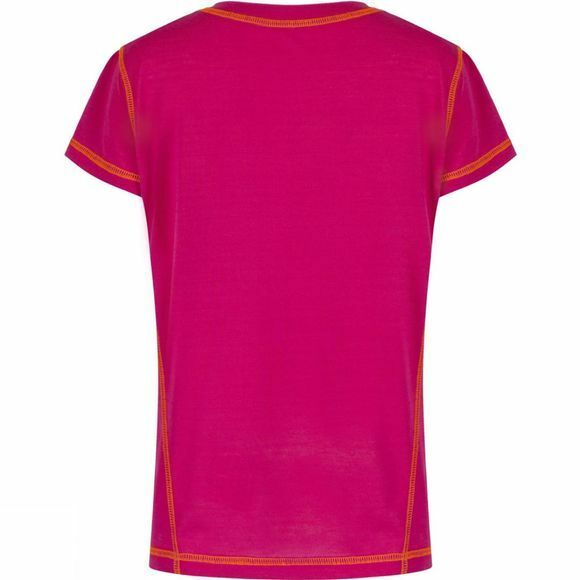 The fine polyester mesh fabric efficiently wicks moisture for lasting comfort on warm or humid days. Designed with offset shoulder seams to sit smoothly under rucksack straps and finished with a fun graphic print inspired by the great outdoors!